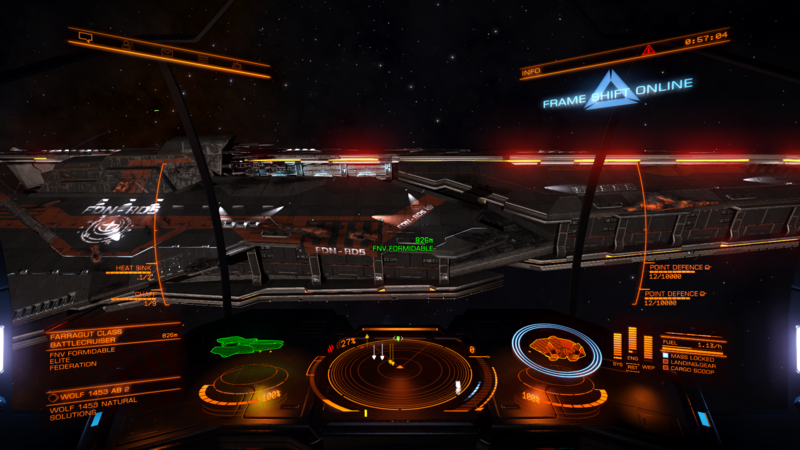 On the 17th day of July of 3302, I recieved a distress call of level 4 in the system GG 99-49. 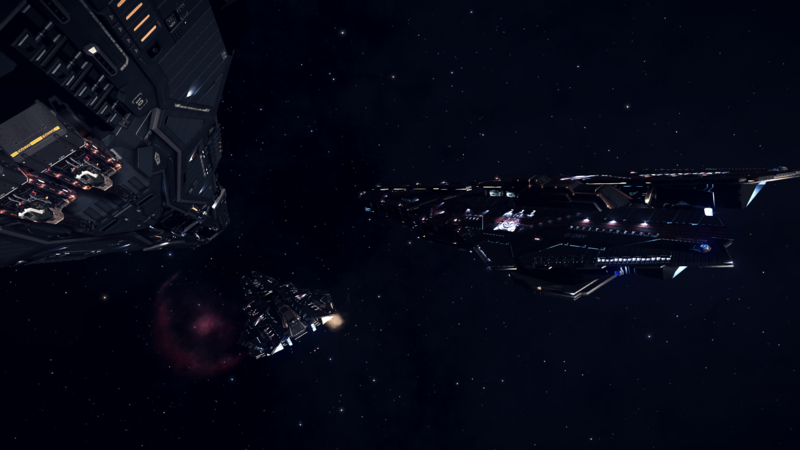 When I dropped in to help, I could not believe what my eyes were seeing: a federal farragut class battlecruiser, the FNV Formidable, was the source of the distress call! With a busted engine and surrounded by pirates, there was not much it could do. Naturally, I started shooting the pirates. It was all going well, until I heard something I had never heard before: "Warning, capital class signature detected". Shortly after another farragut jumped in, but this was no friend coming to rescue the FNV Formidable; Glory, a pirate Farragut, had just made its entrance!. I could not let the FNV Formidable fall in the hands of pirates, so I attacked Glory, using its large body as cover while I destroyed its weapons one by one. 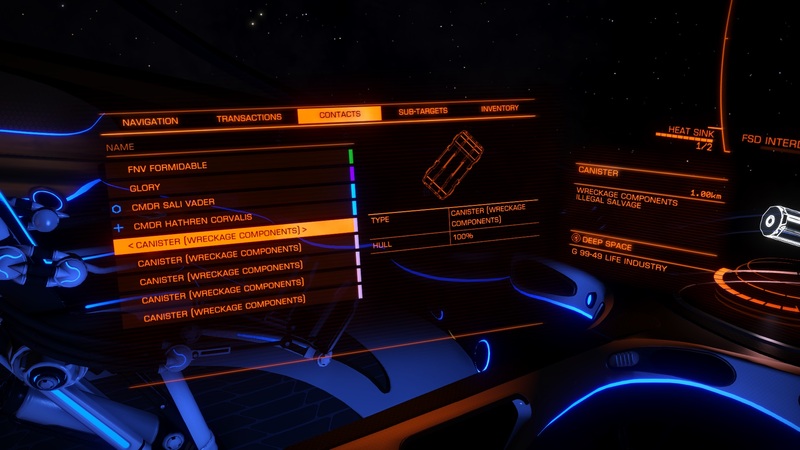 At the same I asked for reinforcements at the comms channel of Sirius Inc, and not long after that Cmdrs Hathren Corvalis (Binary Violence), McCaslin and Fatcat560 joined me. After an intense battle, Glory was forced to retreat. The federal wing that jumped in some time after that couldn't do anything other than to thank us for our assistance. Yeah, but those were there from the beginning, they didn't drop from a dead ship. Guess who I found again today!